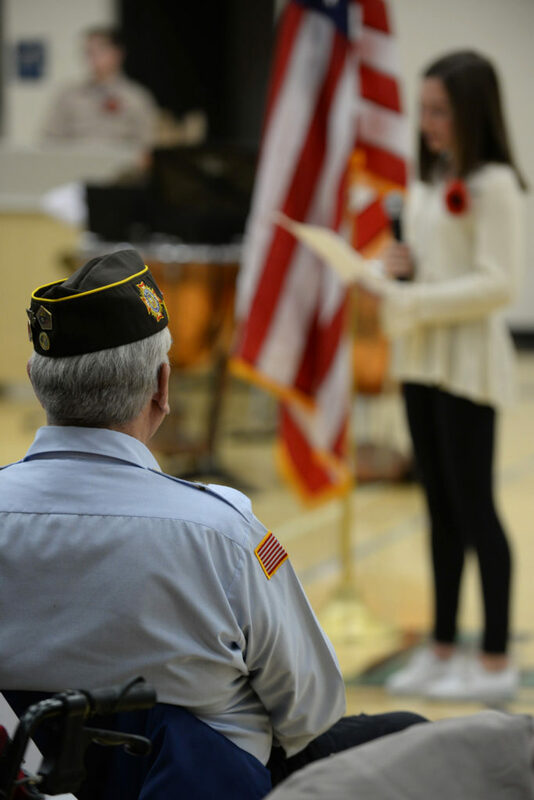 An annual event to honor both our local veterans as well as any veteran of a student. The Veteran’s Day Celebration is held in November each year. The morning begins with breakfast, followed by a middle school band concert. All students write letters or cards to give to the veterans in attendance during “mail call”. One of the favorite parts for the veterans is receiving these personal letters and notes. Any extra letters/notes are delivered to veterans not able to attend from nursing homes etc. See the school event calendar for specific dates and times. ©2019 North Lake School District. All Rights Reserved.